What a fun game! It's darts, but with your feet! 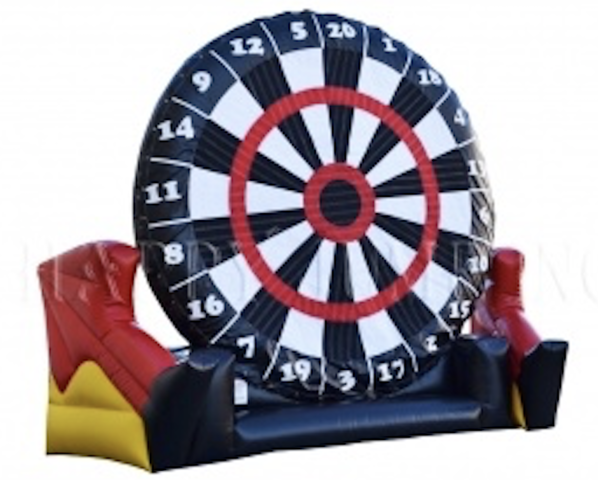 This popular game includes velcro balls that are kicked at the giant dart board to score points. 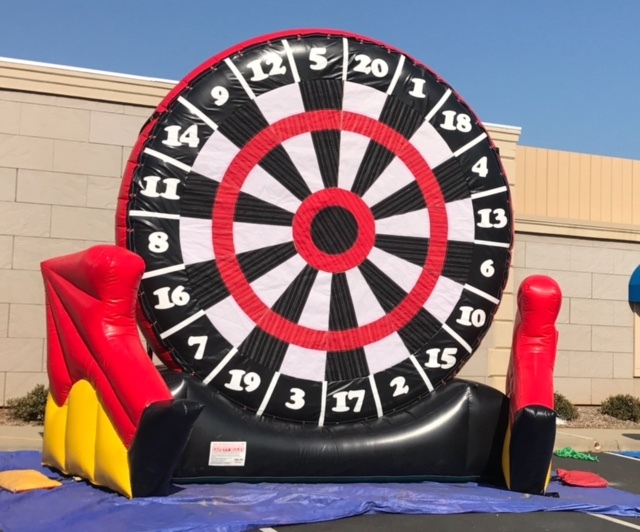 Perfect for corporate events with team building, as well as any backyard bash!